Crane with Lowered Head Spitter - Aquascape, Inc. Enhance your water feature or pond with the incredibly fun Aquascape Crane with Lowered Head Spitter. Made from high-quality poly-resin, Aquascape Spitters are light weight, easy to install, and resistant to UV and heat exposure. 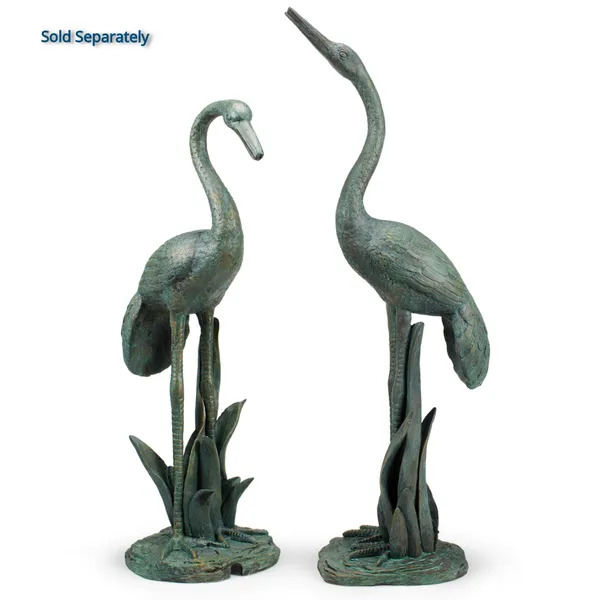 The Crane with Lowered Head Spitter provides the soothing sound of water as a steady stream spurts from the mouth of the fountain. The feature encapsulates the texture, shape, and finish of real brass at a fraction of the cost. Fountain measures 32 inches high.